iWood are now supplying Teak for the first time online. At the moment we can’t provide instant pricing but if you send through your requirement on our Teak wood for sale enquiry form we will get back to you ASAP with a quote. Unfortunately, because of price fluctuations we would never be able to provide you with our best price via the website. Currently we are supplying Teak wood for sale in Cut to Size, Planed All Round and Decking products however if you do have any other requirements please ask and we’ll be happy to look into those for you. All of our teak is sourced from renewable sources where great care is taken to make sure this precious resource is not wasted. The cut to size product will have a rough sawn finish and comes in set thicknesses of 25, 32, 38, 50, 63, 75 and 100mm and we can supply a maximum width of 250mm. We recommend that where possible you ask for shorter lengths rather than cutting down yourself. This could reduce the m3 rate on your cutting list and save you money. The boards will usually be supplied slightly over length anyway. Similarly, planed all round boards can be supplied where the timber is planed down to your exact measurements. This creates a smooth finish and rather than having fixed thicknesses we can plane the timber’s thickness between 19mm and 94mm and the width can finish up to 244mm. The ends of the timber will still be finished rough sawn rather than smooth. IWD1 and IWD2 are “Reeded” decking profiles and the others are all “Anti-Slip” you can find more information on these profiles in our Timber Knowledge Library. We supply three different tread patterns with our decking all of which are available in two different widths. 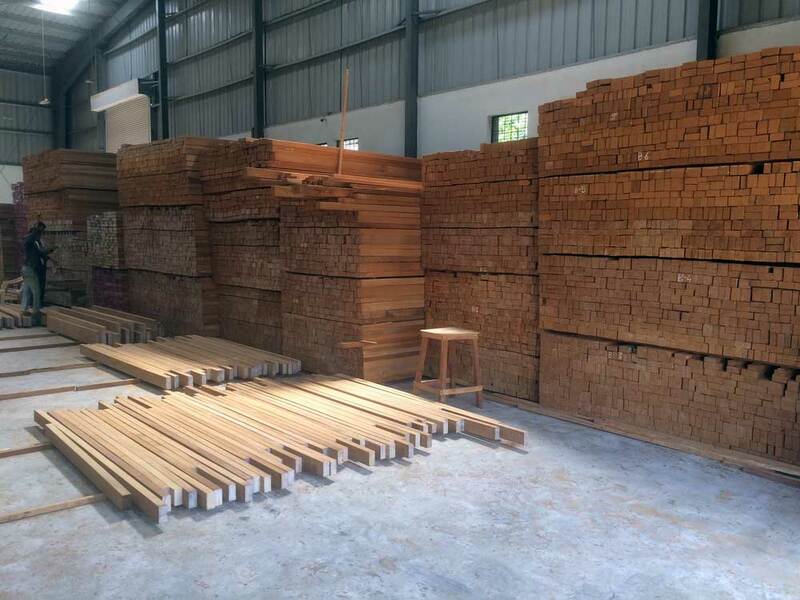 Why Buy iWood’s Teak Wood for Sale? We’re dedicated to providing you with the best quality timber from sustainable sources. We take great pride in the timber that leaves our warehouse and we want you to be happy with what you are working with, which is why we work closely with our suppliers to get the best wood for the best price. Our timber is provided untreated so you can provide whatever finish you would like to your timber. Although it doesn’t require treatment like other timbers the teak wood for sale here can be treated to protect the colour of the wood and stop it from turning silvery grey. However, treating the timber will not increase its lifespan.